While all my Australian friends were having gingerbread and Christmas pudding, in our house we were having crostoli covered in a wine syrup (otherwise known as “vino cotto” – cooked wine). Although it was strictly a Christmas treat in our house, I remember a few times when I was young, during winter when it hailed, my Dad would catch some of the hail on a plate and then drizzle a bit of the vino cotto over the top (apparently it’s what they did when he was a kid in Italy). So a little while ago when Mum and Dad were replenishing their stocks (basically they make the vino cotto like they make pasta sauce: they do a huge batch every few years), I asked if Brenton, the kids and I could come and check out how it was made. Because although I’d made “alternative crostoli” before and substituted the vino cotto for molasses, I hadn’t ever made the “real thing”. 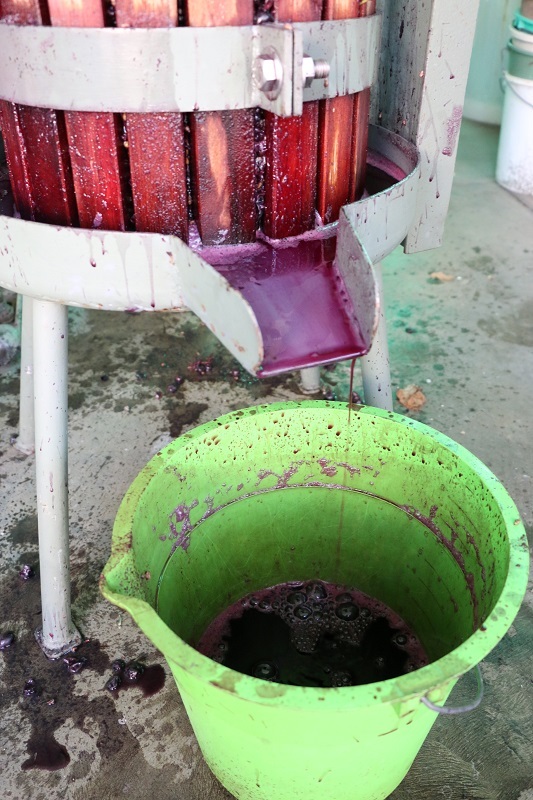 The process starts out a little like making wine; you need (ideally) wine grapes, and a grape press. Place the whole bunches of grapes, into the press; taking care to remove any leaves. 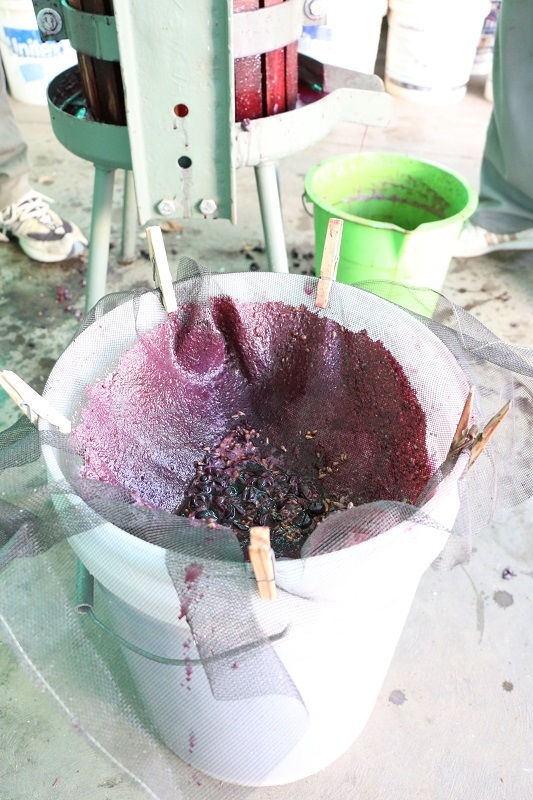 Press the grapes and collect the liquid, and strain out any of the skins and stems by passing it through a mesh. 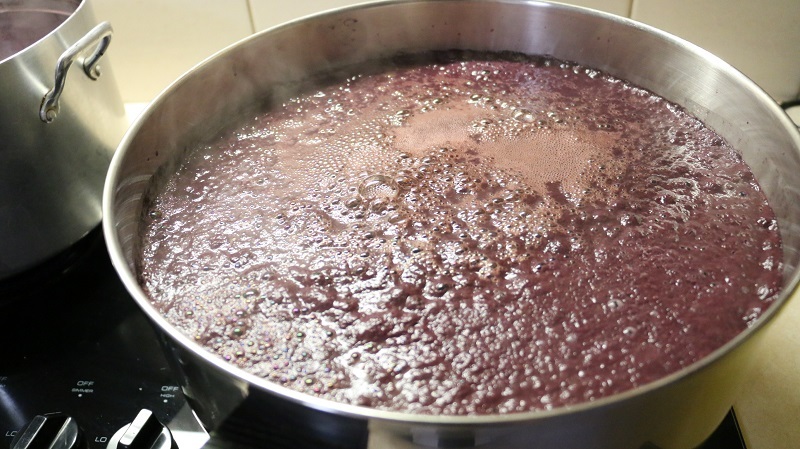 At this point, if you’re making wine you’d leave things to ferment, but for making the vino cotto the way my family does, you’ll basically take the pressed grape juice and transfer it to a large saucepan. Once the juice is in the pan, bring it up to the boil, and then reduce to a simmer. Every now and then as the juice heats up and boils again it’ll froth and rise. You’ll need to stir it all in (otherwise it’ll overflow and make a big sticky mess). The liquid will be a purple colour when you start. 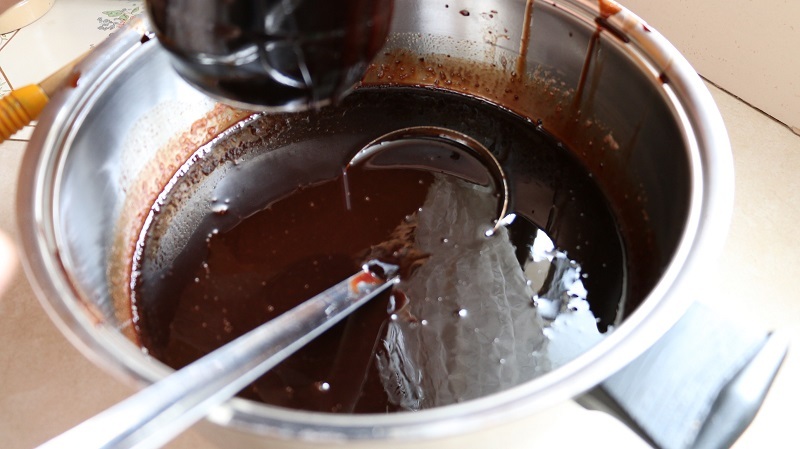 As the liquid reduces, thickens, and becomes syrupy the colour will change to a dark brown colour (it’ll look a lot like molasses in colour and thickness when its done). 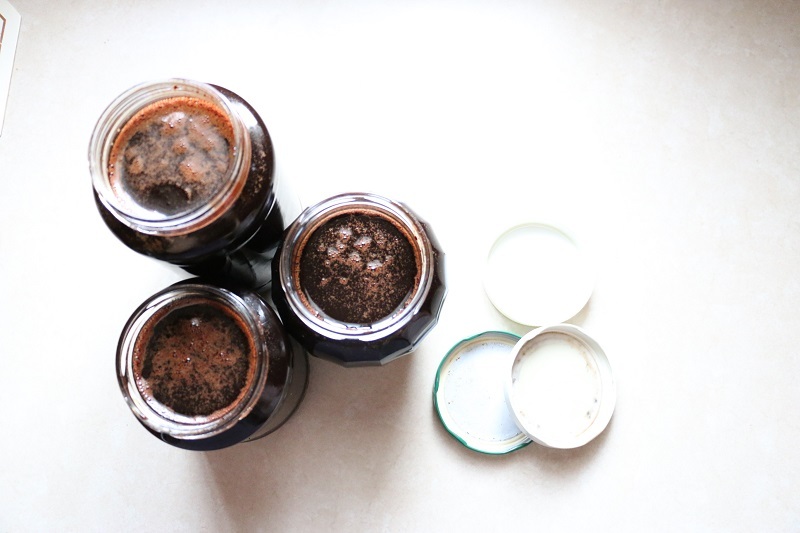 Once it’s done, pour it into clean glass jars (check out the method to sterilise glassware in our Tasty Toppings book if you’ve never done it before). 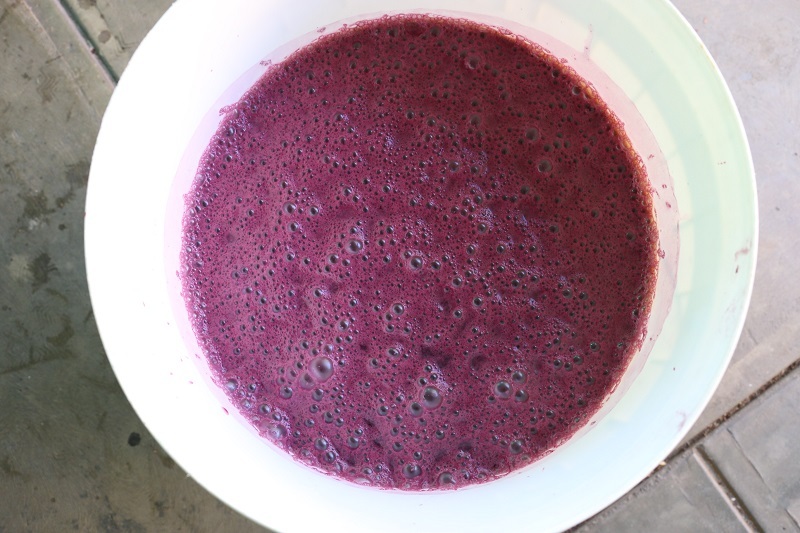 My Dad says to (ideally) get the grape juice from the last press because its thickest and will take less time to cook, whereas the juice from the first press is more watery and will take a lot longer. Mum says to keep an eye on it when it is cooking because once it starts to thicken and brown, if you’re not careful it can easily burn and then you’ll lose it all. 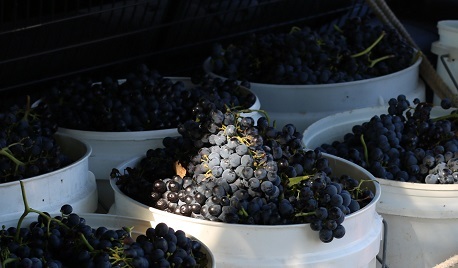 I asked about quantities, and they both said approximately 20 Litres of grape juice will yield about 4 Litres of vino cotto. (The average person is unlikely to be making such a large quantity, but basically it looks like you can expect about a 1:5 ratio, so from 1 litre, you’d get about 200ml (this will cover a lot of crostoli). If the vino cotto is too thick for dipping the crostoli in, you can thin it out by adding a little wine (if it suits your diet) or a bubbly drink such as carbonated water or lemonade (not exactly the healthiest, but, it’s a traditional Christmas dessert). Time wise, it’ll all depend on how much you’re cooking down, but Mum and Dad said cooking the above volume takes approximately 3-4 hours. So if you give it a go, make sure you’ve got the time to stand around and keep an eye on it. Use sweet red grapes. Ideally wine grapes. Mum said she’s heard of people actually making it with wine (which would make sense since the Italian name for it translated is “cooked wine” and not “cooked grape juice”;-). 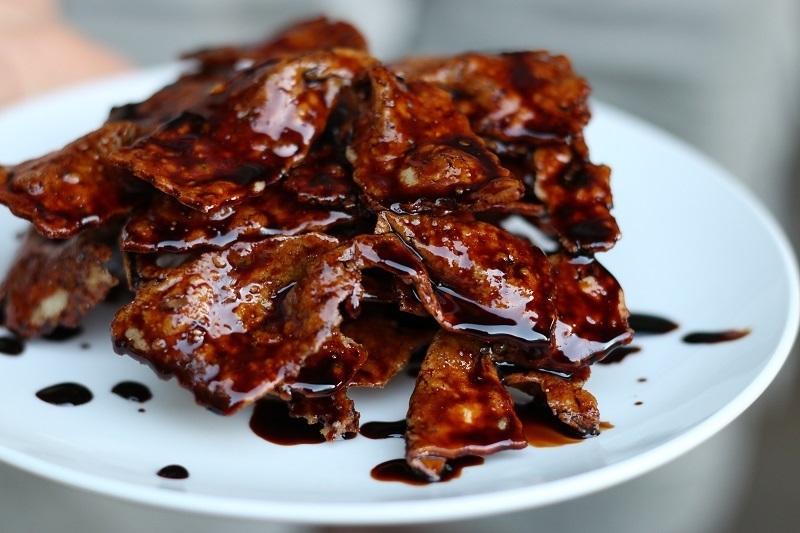 Check out my alternative crostoli recipe here (it’s gluten-free, egg-free, vegan friendly).